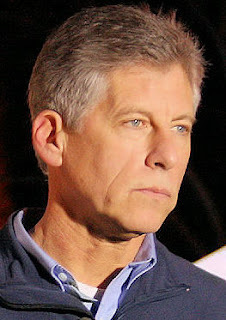 Michael Starr at the New York Post interviewed Mark Fuhrman, a former LAPD detective who was part of the O.J. Simpson investigation and now refuses to watch the FX TV series about the Simpson trial. This Tuesday’s episode of FX’s “The People v. O.J. Simpson” will feature one of the most notorious episodes from the murder trial — the testimony of LAPD Detective Mark Fuhrman. Fuhrman found the infamous bloody glove on Simpson’s property and gave key testimony. He later pleaded no contest to a perjury charge stemming from his false claim on the stand that he had not used a racial slur in the past decade. The defense had cited his use of an epithet to suggest the glove was planted. 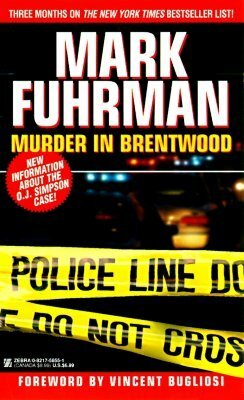 Now 64, Fuhrman is a crime analyst, an expert for cable news and author of several true-crime books, including “Murder in Brentwood,” his 1997 best-seller about the Simpson case. He spoke to The Post about the television series and the case. Fuhrman is a liar and racist who should have been sent to prison long ago. Nothing good is in this BOY.